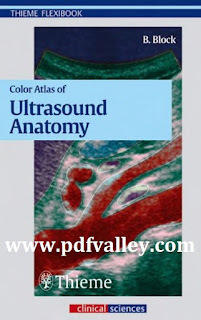 You can download Color Atlas of Ultrasound Anatomy by Berthold Block free in pdf format. Color Atlas of Ultrasound Anatomy presents a systematic, step-by-step introduction to normal sectional anatomy of the abdominal and pelvic organs and thyroid gland, essential for recognizing the anatomic landmarks and variations seen on ultrasound. Its convenient, double-page format, with more than 250 image quartets showing ultrasound images on the left and explanatory drawings on the right, is ideal for rapid comprehension. In addition, each image is accompanied by a line drawing indicating the position of the transducer on the body and a 3-D diagram demonstrating the location of the scanning plane in each organ.